I need violas. Not to be confused with I want violas. I must have violas. Violas, not pansies, although those are nice and some might come to live here in the Fairegarden, to settle into containers and beds as fall turns to winter turns to spring. But it is violas we need. Violas do not need to be deadheaded and the blooms are smaller but more numerous, the plants more vigorous. Planted now, the roots can grow on and embed themselves into the earth and Fafard mix of the containers. They will look pretty for a few months, sort of take a nap during January and February then come back to life in March, holding court until June when the heat finally exhausts them. Mulch will help them resist the heaving that our normal freeze-thaw torture cycle of winter inflicts upon them. The worst trial comes from the devil squirrels. 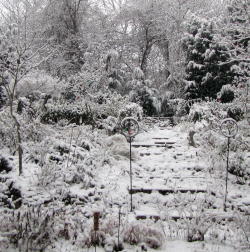 With walnut in mouth, I see them scurrying along the wall behind the main house as I sit reading in the loveseat in the master bedroom, looking up at the garden view through the glass sliders. Sigh. The varmints come back from their vandalism, sans nut and I know there will be a toxic walnut tree growing come spring, with roots that reach to the center of the earth. It is the freshly dug soil of the viola planting that these anti-gardeners adore. 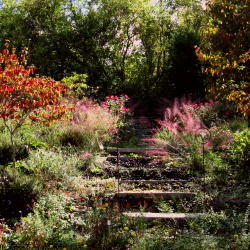 Why not, I have already done the hard labor during the planting of the fall color. They especially love to hide their nuts in the containers which have the softest of all soil. Enough with the belly aching, let’s go shopping. My favorite spot for buying any and all plants is the local perennial farm, Mouse Creek. Blue Delft. She has a new seed supplier and these new varieties are wonderful. 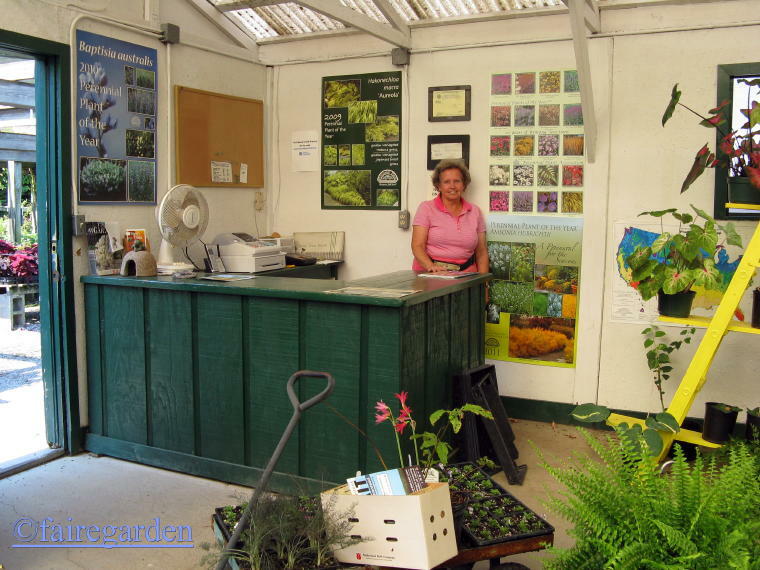 If Ruth is not busy with a tour group or other customers, we will walk around the greenhouses and chat about plants and such. 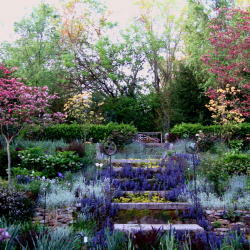 I love being able to go there, help a local business, add beautiful plants to my garden and visit with a friend. She always has violas in the fall, too. And I need violas, for not only are they luscious, they self-sow. This entry was posted in Plant Portrait, Road Trips. Bookmark the permalink. I love violas, too, but here we mostly plant them in the spring. I don’t generally find them for sale in the fall, so I have to settle for pansies in the fall. And they aren’t much by spring. But that’s okay, I’ll plant twice a year, fall and spring, because I like different colors for each season, anyway. 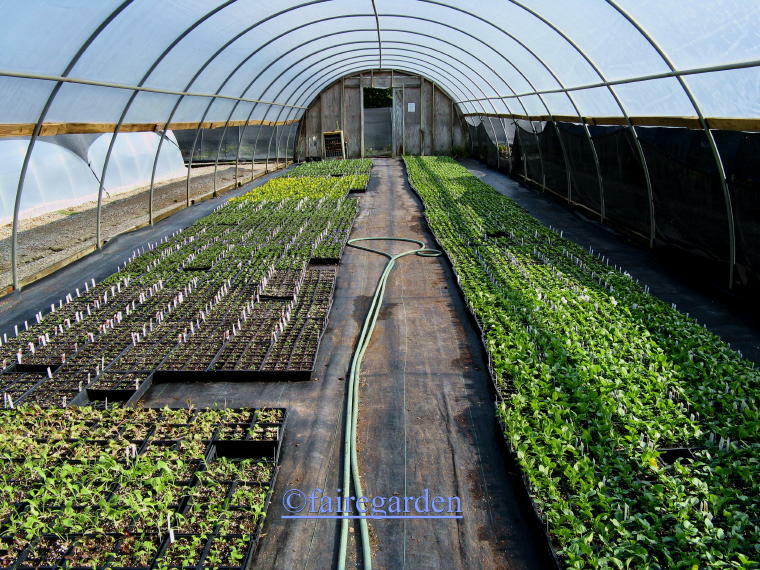 You are very fortunate to have a nursery/greenhouse like Mouse Creek so close to you. Hi Carol, thanks for visiting. Mouse Creek is a treasure, a jewel in the hills. Daughter Semi was even married at the pre-civil war church on her property. As for finding violas amongst the pansies on offer in the fall, look for the smaller flowers. 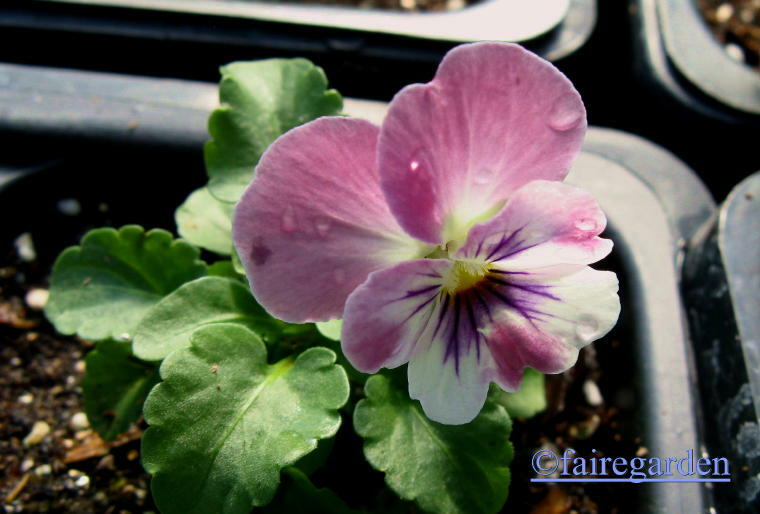 Often they are mixed in with pansies with the same tags even, especially at the big box stores. Violas are a favorite but must be planted early in my area to give them time to fill out. I have not had much luck with pansies and violas coming back so I just enjoy them in containers in spring and fall. 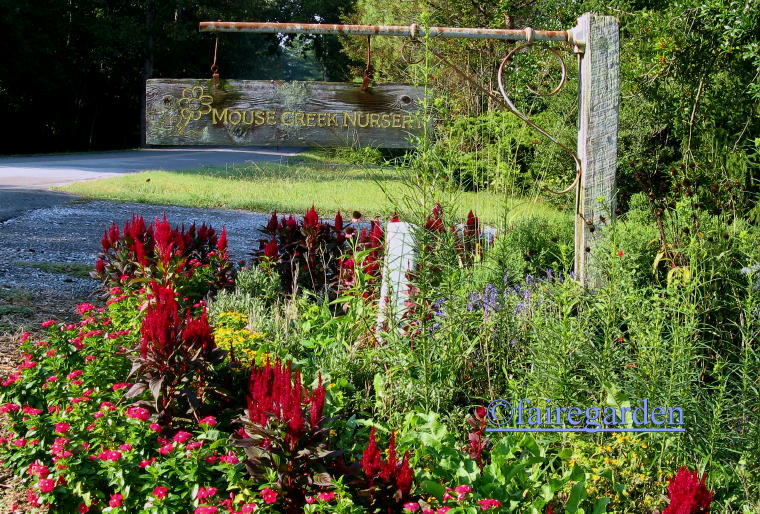 Mouse Creek looks like a wonderful nursery. Hi Eileen, thanks for adding in here. It does depend on where one lives, as to the method used to partake of the pansies and violas. Both winter over here in zone 7a, but the violas seem to do much better. 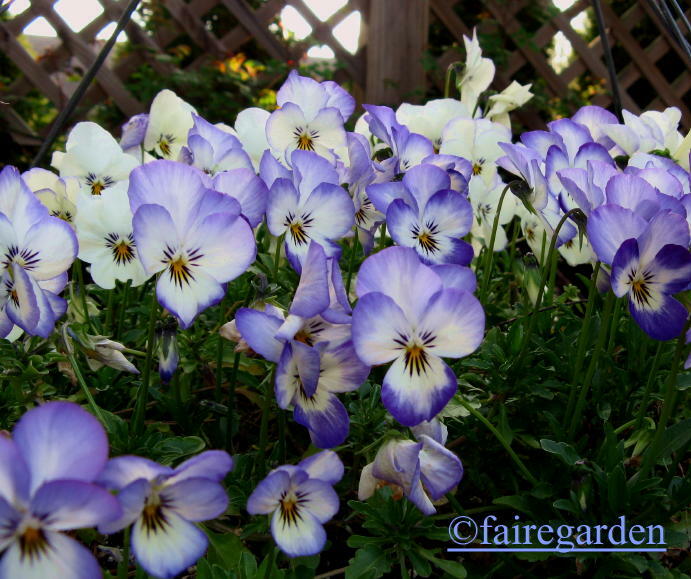 I have read that in colder areas, a light straw mulch will over winter pansies. Mouse Creek is a gem. Such lovely photos. It made me want to go out and buy some but alas no need to provide extra food for the critters at this time of year. Let them eat what’s out there now. I’ll enjoy the volunteer violas come spring. Thanks Marcia. We are lucky to not have critters that eat the violas, only the devil squirrels that dig them up and let them dry out of the ground before I notice what was happened. We have used large rocks around the plantings to help with that. Thanks for those kind words dear Gail. You are welcome here anytime, you know that, and we will go plant shopping, whenever you visit. Oh, a winter pageant! What fun! That is such a good idea, Frances. 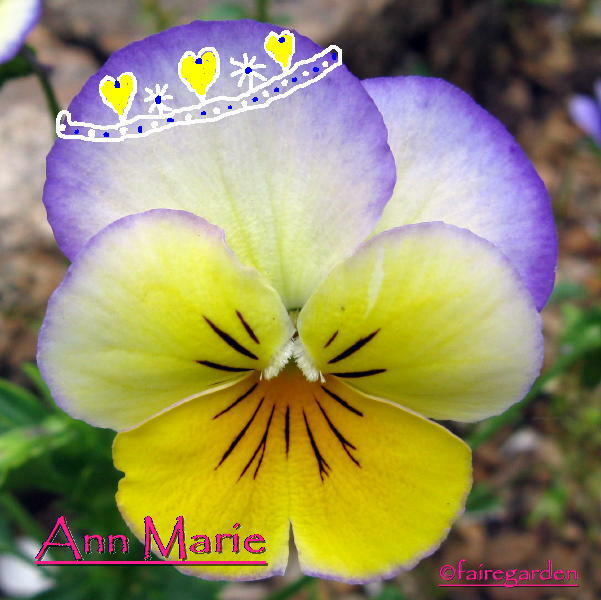 I love Ann Marie’s crown – it becomes her. Happy planting. Thanks Barbara. I was just too rushed this past May, but did take lots of photos as the volunteer violas bloomed. Winter is so dreary, seeing those pretty faces will be cheering, I hope. I think you have a new beauty pageant winner in “Blue Delft”, so sunny and bright, she’s sure to beat all the competition. And now, thanks to this post, I need violas too. Norfolk Gardens, here I come! Thanks Heather. I am glad you have a place to get violas! Blue Delft can be added to the beds in the knot garden to add to the gene pool of the self sown seedlings there. We add new blood every year, but only volunteers are allowed to compete. Some plants exist just to make you smile. You can’t help it when you see the faces of these sweet violas, smiling themselves. Hi Laurrie, thanks for dropping by. The violas are the happiest of flowers, and so photogenic. They do make us smile. Alot. It’s almost time for me to plant violas and pansies too! I love them for their winter color on foggy days. I didn’t know pansies could be deadheaded…I’ve never done so. Hi Leslie, thanks for visiting. I can imagine the happiness you get from seeing the pretty pansies and violas with fog. I have read that the pansies bloom better with deadheading and know most nurseries keep them from setting seed, those with the staff for such a time consuming task, that is. It is hard to resist some of those pansies, Ruth had one that made me swoon. Didn’t buy it then, but might go back! I need them also. I cannot resist Violas. Last fall I had them everywhere and with our cool summer many are still blooming. I’ve seen lots of seedlings around, and it made me think of your Viola beauty pageants. Hi Catherine, thanks for adding in here. Having them everywhere…I always buy so many, but it is NEVER enough! I never realized there was a difference between violas and pansies. I have one – or the other? – all over my yard and garden and consistently add more. I bought dainty purple blooms at a spring plant sale to others horror – why would you want those? i’ll dig them by the dozens out of my yard for you! But I find their faces are so cheerful. and they willingly fill in the blank spots. Ohhh! I think I need raspberry Violas. They all have such happy smiley faces. Hi Ronnie, thanks for visiting. The Raspberry violas are a new colorway to us, I adore them! 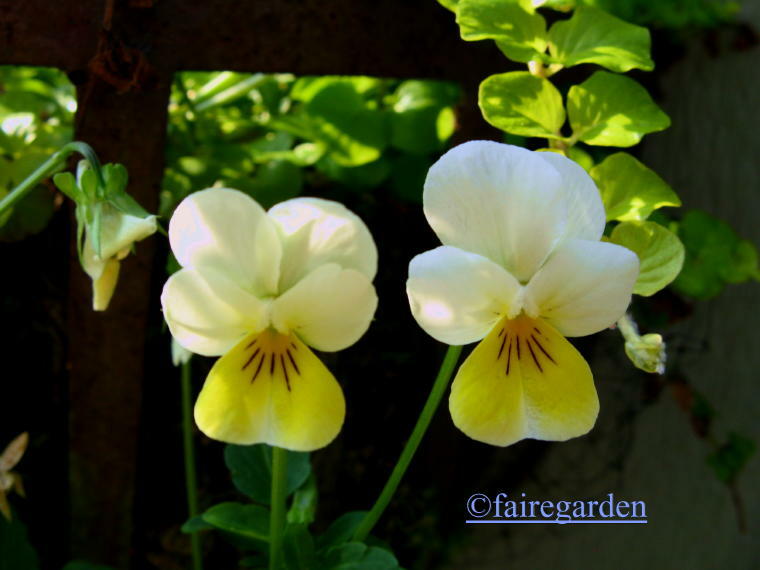 Love violas…and pansies! For me, they shine when there isn’t very much in the garden. Your photos bring their beauty even closer. Thanks! Thanks Sage Butterfly. Glad to hear you love them too. I can’t believe I didn’t realize that violas returned. I will have to take your advice and search carefully (at the big box store probably) to be sure I put in violas and not pansies this fall. I will go to the more expensive garden center to replace the camellia, winter daphne and gardenia that all perished in the summer drought. Somehow I have more confidence that the big box store can handle a little viola. Last year you gave me the advice of putting sharp gravel around the pansies I plant on top of tulip bulbs (annuals) here. I was planning to give that advice a try this fall. I hope it deters the pesky squirrels, who love the newly dug beds here too. Hi Jill, thanks for joining in here. Both violas and pansies will return nicely in the spring when planted in the fall. If they are not dug up by the devil squirrels, that is. Be sure and tuck them in tightly so they don’t heave out of the ground with the freeze/thaw cycles that we get. Good luck with your search! My rule of thumb down here in Texas is not to plant violas or pansies before Halloween. 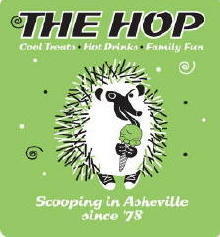 It’s cruel & unusual punishment to make them suffer through the last gasps of summer! Thanks for that, Cindy. Poor little violas and pansies, we don’t want them to suffer any more than the gardeners down in Texas have been suffering. 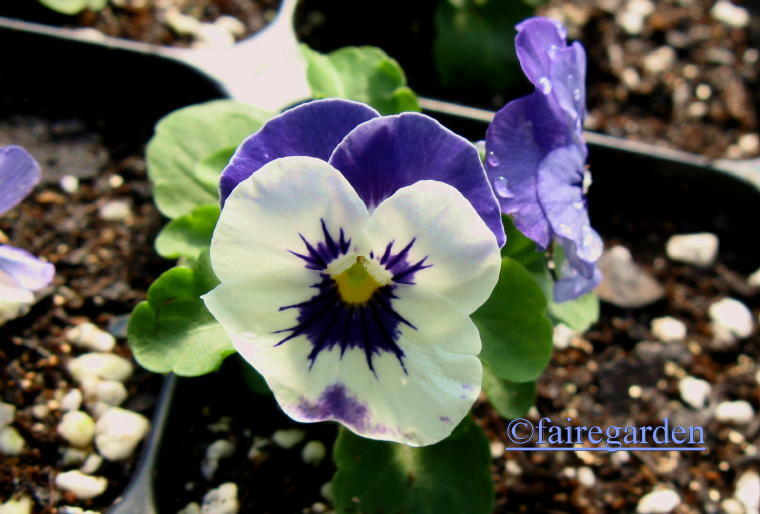 I want and i need violas and pansies, but they (i think) need cold climates not tropical. When i first saw them in Europe it became a sudden favorite. But all along i thought pansies are also violas or Viola is the genus of pansies. Then Carol’s comment says they grow in spring and fall, now i am confused. Maybe the only right thing in my head is they are both in the Violaceae family. Hi Andrea, thanks for dropping by. I don’t know about violas where you live, but if you see some for sale, give them a try! I have been dreaming of pansies and violas as of late myself. Ready for a change in the gardens. Hi Darla, thanks for sharing here. Violas and pansies are a very pleasant dream. We are in the process of changing here, as well. Love that raspberry one. Great color for a viola. I planted some orange pansies in my hot sunny and very dry Traffic Island out in the street and they have bloomed almost all summer. Go figure! Hi Linda, thanks for visiting. Good to hear about your orange pansies. If it weren’t so hot here, they would bloom every month. It is not the cold they dislike, it is the heat and drought.